The Military Sealift Command (msc) Combat Stores Ship Usns Spica (t-afs 9) Steams Alongside The Nuclear Powered Aircraft Carrier Uss Harry S. Truman (cvn 75). Uss Sacramento (aoe 1) And Uss Lassen (ddg 82) Steam Alongside Uss Carl Vinson (cvn 70) During An Underway Replenishment. Uss Kitty Hawk Prepares To Pull Alongside The Combat Stores Ship Usns San Jose (t-afs 7) To Participate In An Underway Replenishment (unrep). The Nuclear Powered Aircraft Carrier Uss John C. Stennis (cvn 74) Performs An Underway Replenishment (unrep) With The Fast Combat Support Ship Uss Sacramento (aoe 1). 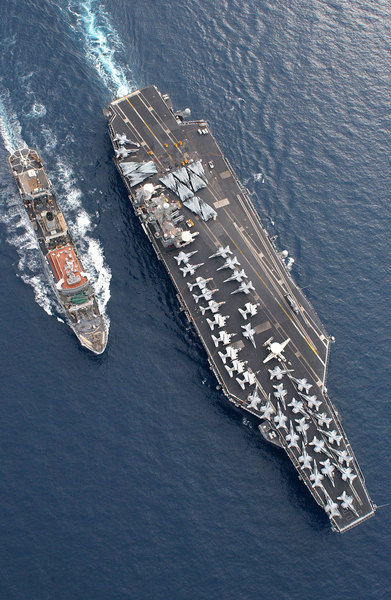 Uss Carl Vinson (cvn 70) Comes Alongside The Fast Combat Support Ship Uss Sacramento (aoe 1).